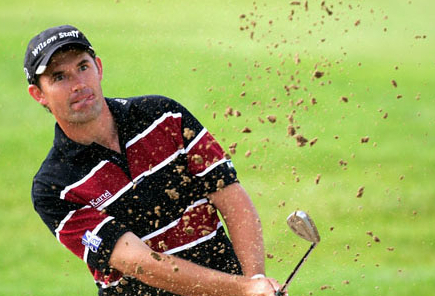 Slap your cash on Padraig Harrington if he picks up an injury before the Masters. The Dubliner overcame a stiff neck to win the Open at Carnoustie in '07, ignored a wrist injury to retain the Open at Royal Birkdale and then recovered from mid-tournament dehydration to claim the US PGA last August. Laughing at the prospect of being crocked before the Masters, Harrington is trying to replicate the same conditions inside his head. When you're injured, the pressure is off. So why not just try and take the pressure off yourself and go from there. He said: "Golfers are very good when there is a distraction. What affects golfers most at a tournament is their mental state and when they get injured - whether it be a physical injury or a sickness - obviously their mind is taken away from their physical game and solely makes them accept it a lot more. "They are not under as much pressure because there is a reason if they don’t perform that week. They don’t have to blame themselves. They can blame an injury or an illness and that makes them relax a little more and be more accepting. "These are all the mental states that we try to get into without the injuries and this is stuff that I would work on with Bob Rotella. To make sure that I am in that state of mind. "But an injury or an illness or something like that, how many times have guys gone out to win tournaments when the didn’t think they were going to tee it up on the Thursday morning because they were sick all the night before. "And yet they go out and play because it seems like a new lease of life for that week and it feels like they are on a shot to nothing. I try and create that sense anyway with Bob Rotella but it is easier when you are pushed into it by an actual, physical happening." 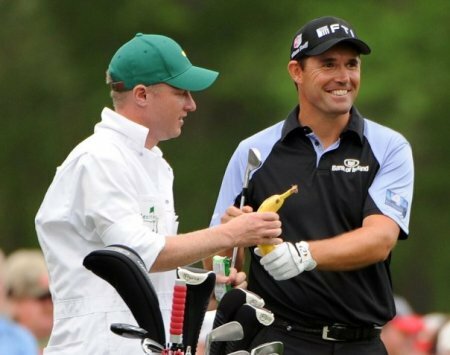 Padraig Harrington will be looking out for No 1 at the Masters - and he doesn’t mean Tiger Woods. With three majors on his CV, the Dubliner wants to break into a league of his own and he knows he has to be selfish and ignore the Tiger hype if he is pull on a green jacket. There’s a cool, calm and collected air about Padraig Harrington this week. It’s a combination of what he calls “closure” with his golf swing and the experience he has gleaned from 11 previous trips down Magnolia Lane. Padraig Harrington’s hopes of winning the 75th Masters suffered a killer blow before he hit a competitive shot when he ricked his neck on the driving range and then crashed to a five over par 77. The Dubliner, who was advised to pull out before the start, will need a miracle now to make the cut if he carries on and eventually tees it up in Friday’s second round. Padraig Harrington believes Rory McIlroy could become the most prolific major winner of all time. Picture Fran Caffrey/www.golffile.ie.Padraig Harrington believes that Rory McIlroy can lay the foundations of what could be the greatest major championship career in history if he goes on to win the Masters this year. Padraig Harrington hits to the 18th at Augusta NationalPadraig Harrington scorched into contention for Masters glory when he finished with five birdies in his last six holes for superb a 68 that left him five strokes adrift of suprise leader Peter Hanson but with only five players ahead of him. Knowing that it is easier to attack than defend on the notoriously capricious Augusta National lay-out, the 40 year old Dubliner will go into the final round in the fourth last group alongside Henrik Stenson clinging to the comforting thought that no matter what happens, he has three majors on the kitchen table at home and will contend for many more.